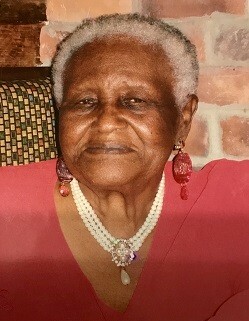 Ms. Marie Munn Robinson, age 89, of 808 Attonbury Lane, Fayetteville, NC departed this life on Sunday, October 28, 2018. Funeral services will be held Monday, November 5th at 1:00 PM in the Faith Tabernacle Christian Center, St. Pauls, NC. Burial: First New Light Cemetery, White Oaks, NC. She leaves to cherish her loving memories: sons, James W. Munn (Monica) and Ronald Munn (Ruth); daughters, Theresa Mills, Gwendolyn Jones and Jacquelyn Williams; sister, Mary Williams; nine grandchildren; sixteen great grandchildren; three great great grandchildren and a host of other relatives and friends. There will be a viewing Monday, November 5th from 12:00 Noon to 1:00 PM at the church.